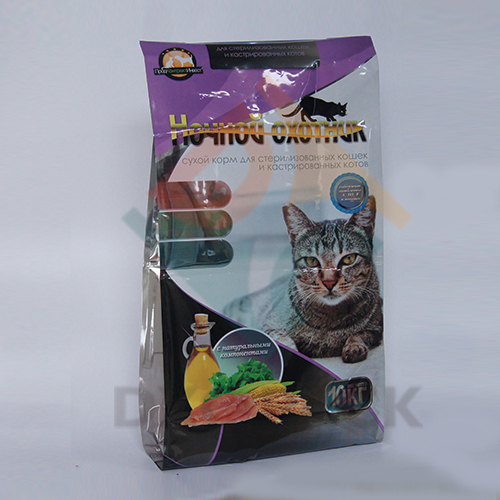 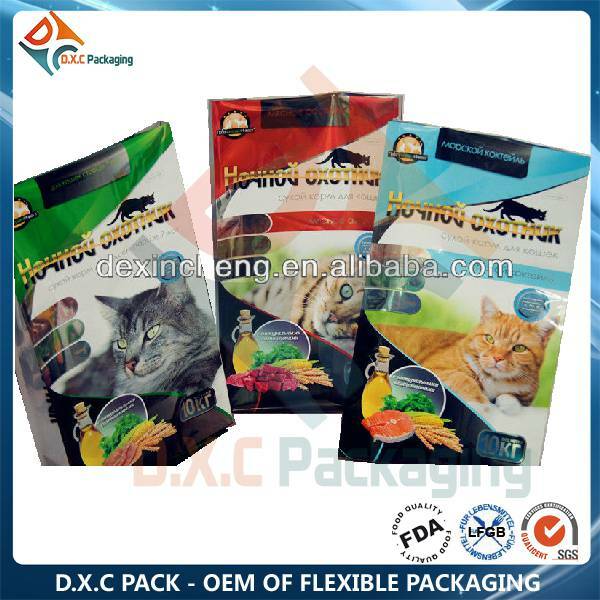 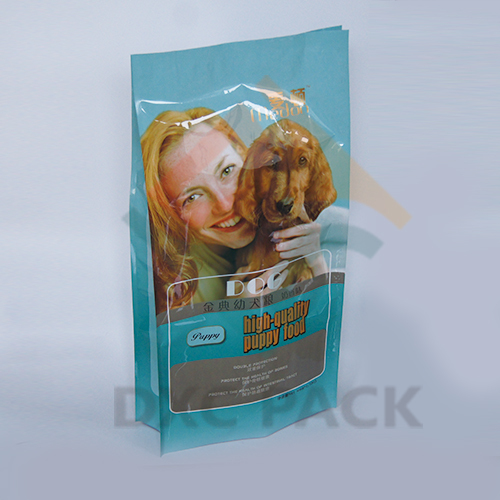 DXC Side Gusset Pet Food Bag with Zipper made with Zip-Pak® zipper machine, 100% air tight and non-leakage. 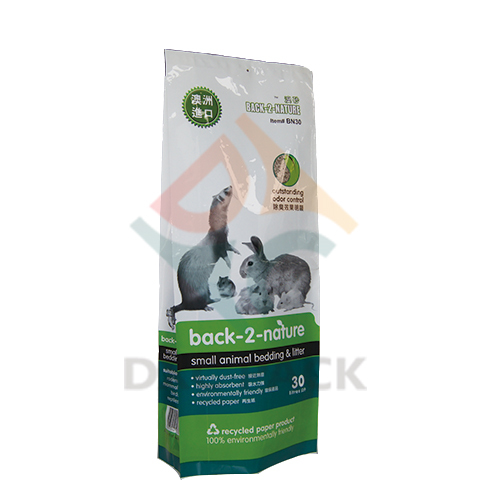 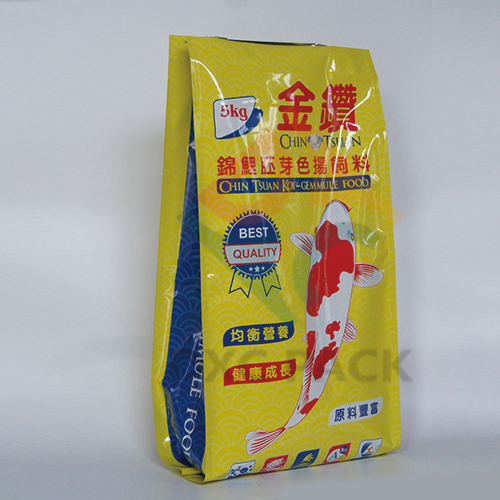 Quad sealed bags are side gusset bags with four main panels for product branding,it's suitable for 400g to 25kg weights, with options to add a folded bottom for additional branding and good product presentation when packs are laid down on store. 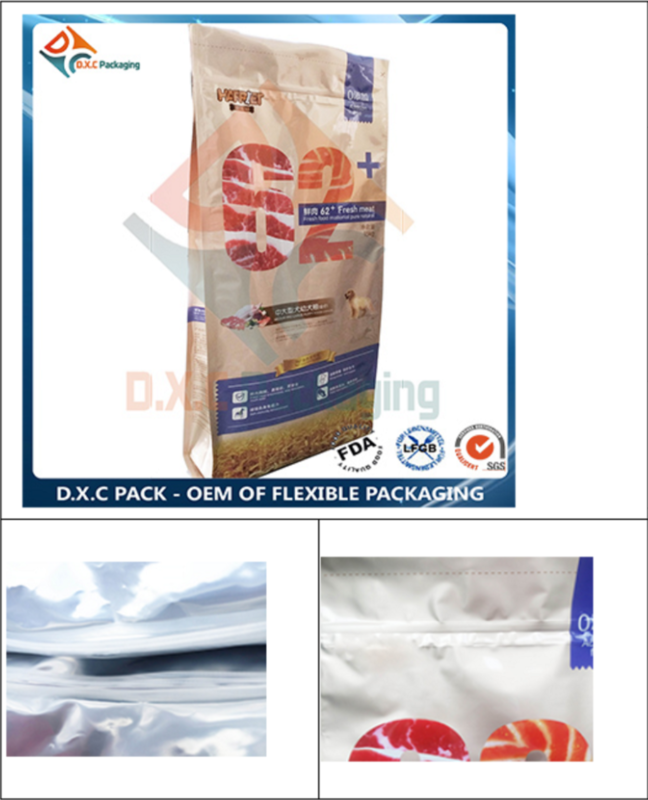 Optinal re-closure systems, press to close zipper and Velro zippers are available. 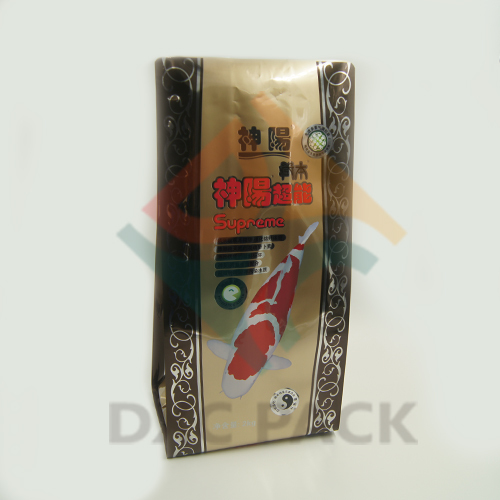 3.Bag making with ZIP-PAK® machine, helping client to save the cylinder cost. 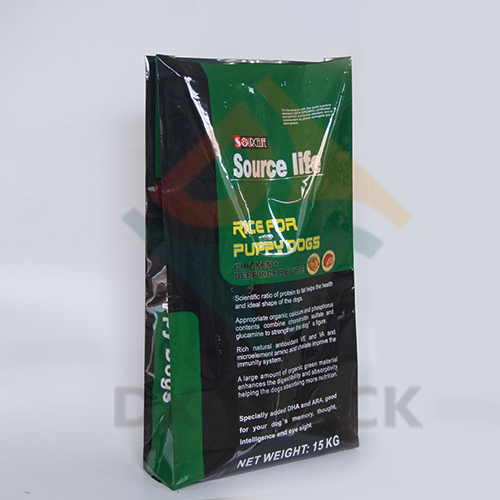 5.800mm heigh dropping test with 100 times, 50kg weight pressure testing for 100 times.